Singapore’s annual Budget goodies is well-known throughout the world – during a trip to Taiwan few years ago, there had been 2-3 occasions that whenever we identify ourselves as Singaporeans, some of the locals will ask the question “So Your Government is Giving You Free Money?“. I guess that the Taiwanese news channel have been reporting about Singapore Budget Speech and the Goods and Service Tax (GST) vouchers for Singaporeans and I won’t be surprised if they are sensationalizing this “news” a bit. I always had to correct them that the money is not exactly “free” – for example GST vouchers were given to help lower- and middle-income households with their expenses, in particular what they pay in GST. 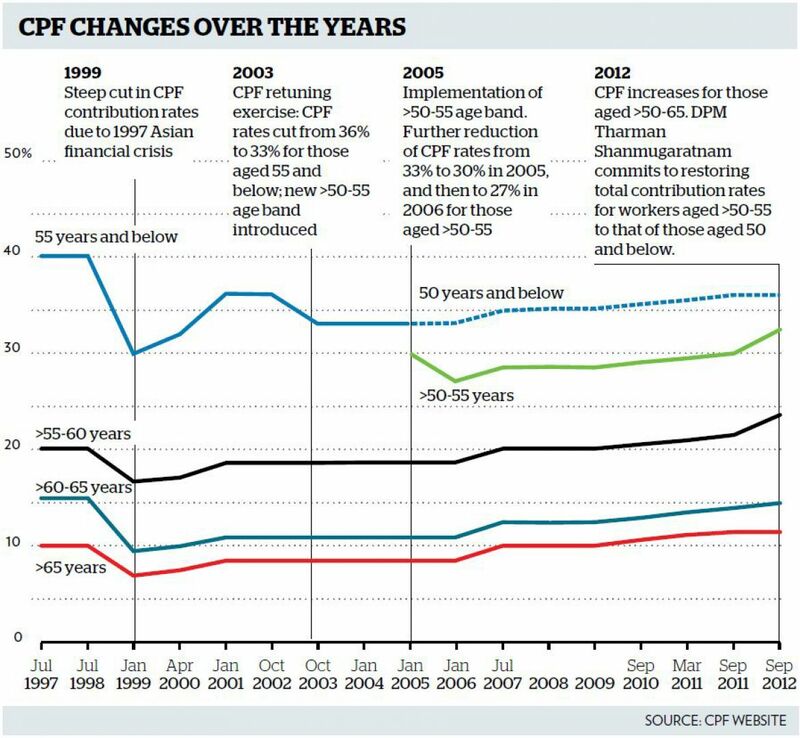 Another case in point is this year’s Budget 2014 which introduced an increase in CPF contribution rates for all workers and further increases for older workers. 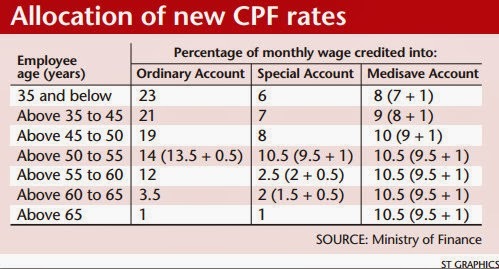 Finance Minister Tharman Shanmugaratnam announced on Friday a 1-percentage-point hike in employer CPF contributions — from 16 per cent — for all workers, which would be channelled to Medisave accounts to increase support for lower- and middle-income individuals. In response to NTUC deputy chief Heng Chee How’s calls to government for more help for older workers, CPF contribution rates for workers aged 50 to 55 will be further raised by 1.5 percentage points, 1 percentage point from the employer and 0.5 percentage points from the employee. The employer contribution rate for those aged 55 to 65 will also be raised by 0.5 percentage points. 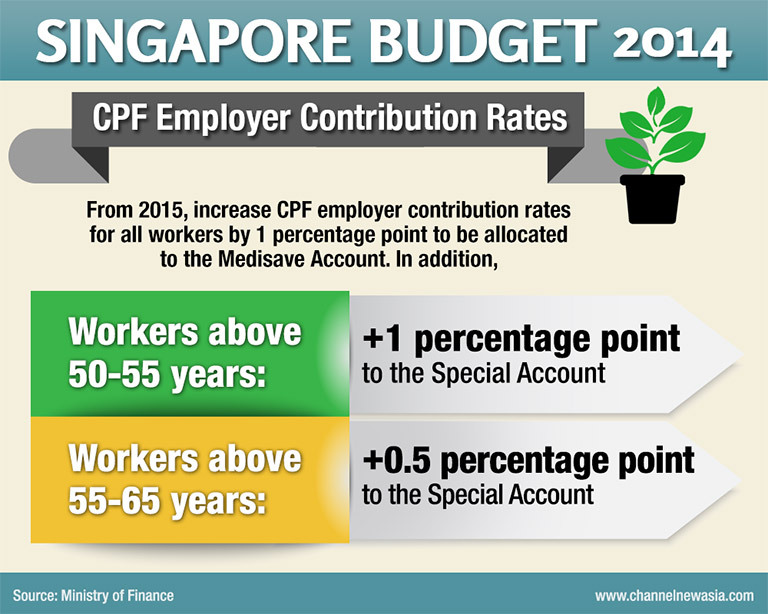 It looks like Mr Heng’s call for increase in employer’s CPF contribution was answered. NTUC had pointed out that the CPF increase will support young Families – with Singaporeans getting married and starting families later, the increase in Medisave contribution will come in useful for their aging parents, or in the event of unforeseen circumstances. Working aging parents is another group that will benefit as this CPF contribution rate increase allows them to be more independent in taking care of their medical fees. There have been calls for further increases from different groups i.e. for the CPF rate to be restored to the pre-1999 level of 40 per cent, citing reasons such as rising medical costs. I am glad to hear that the labour movement being mindful of potential implications for business, had not pushed for this further. There are concerns that companies might be deterred from hiring workers above the age of 50 to 55, following the 2-percentage-point increase in employer CPF contributions. Hopefully, the Special Employment Credit and 8 per cent subsidy for firms that the Government is giving employers will serve a very strong incentive to hire older workers. There have been calls for further increases from different groups i.e. for the CPF rate to be restored to the pre-1999 level of 40 per cent, citing reasons such as rising medical costs. I am glad to hear that NTUC being responsible and staying focused on the big picture, had also highlighted the need for government, businesses, unions and consumers to take action to raise productivity in order to ensure our economy continues to do well so that we can continue to get better jobs and better wages. If the reverse occurs, we will have more worries than just inequitable CPF rates – job losses and unemployment which will affect the future generation.